FLORA - MURALS - KINDERGARTEN MURALS - NURSERY HABAIT HAKIBUZI - KINDERGARTEN MURALS - MICKEY MOUSE. FRONT VIEW. Kindergarten murals - Mickey Mouse. Front view. 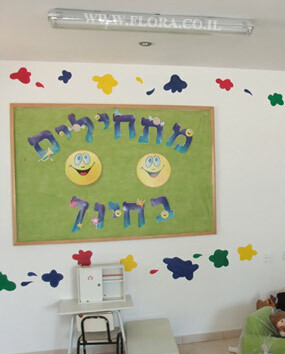 Location: Nursery Habait Hakibuzi in Ashkelon. Muralist: Flora.